Providing meaningful recognition is the key to enhancing engagement and delivering organizational results. First-contact resolution can be hard to measure and achieve. A look at tools that can play a key role in reaching your FCR goals. How to assess your people, process, technology and call center management readiness for optimum success. Over the years, definition of customer service remained essentially the same until customer communications channels began to expand. The conversion from order-taker to salesperson is not that easy. Nine tips to successfully transition your agents from a reactive to a proactive role. Create a game plan for assessing supervisor candidates and providing support after promotion. We’ve come a long way since landline telephones were the main point of contact. How will consumer expectations and technology impact the contact center’s present and future growth and success? 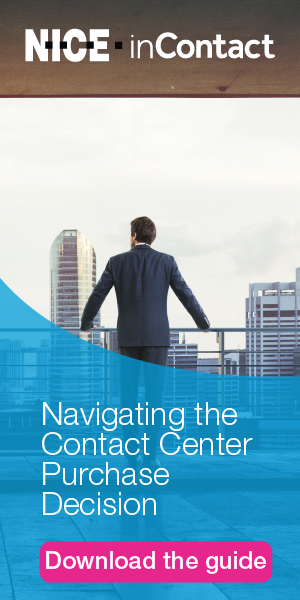 Demonstrate your contact center’s value beyond the traditional scope of customer service and phone calls.